Planetary Mixer which is a device utilized for mixing round products including adhesives, pharmaceuticals, foods, chemicals, electronics, plastics and pigments. It gives smooth operation owing to its rotating system and blade-mounting system that assists in smooth replacement of blade. Our Industrial machines need lesser maintenance and saves time and production cost. 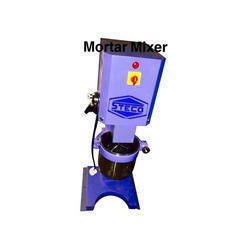 Available with different specifications and capacities, these mixers are suited for mixing pastes and cosmetics.